Following the underlisted registration procedure strictly. 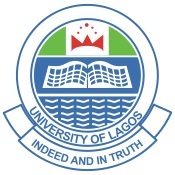 For all candidates who will be following this procedures, please proceed and login to the Unilag Students Portal (www.unilag.edu.ng) and fill the biodata form, then proceed and print out the screening form. ALL students are expected to upload the underlisted documents while filling the Biodata form. Please take note that after a successful completion of the screening exercise, please proceed and go for data capture and make payment for obligatory charges at the school designated banks, or through the school portal. Please take note that the complete information regarding this will be given during the screening exercise, take note. All candidates are also requested to visit their Faculties and Departments for registration. All candidates are expected to submit a copy of the following documents to the Registration Officers as well as Department and Faculty. Take note that impersonation is a serious offense and anybody found guilty of this will automatically forfeit his/her admission and may be handed over to the police.